We were so excited to take part in the Martha Stewart Wedding Party for a second year. Meeting couples in person is always a delight, we love hearing their plans and designs. And who doesn't love saying hello to Darcy Miller? A special thank you to Artisan Events for snapping a few photos of our table. We are certainly looking forward to next year! ome of the details from this year are just so sweet. We asked Frances MacLeod to calligraphy subway tiles as place settings, and La Tavola provided the amazing Swiss Dot linens. 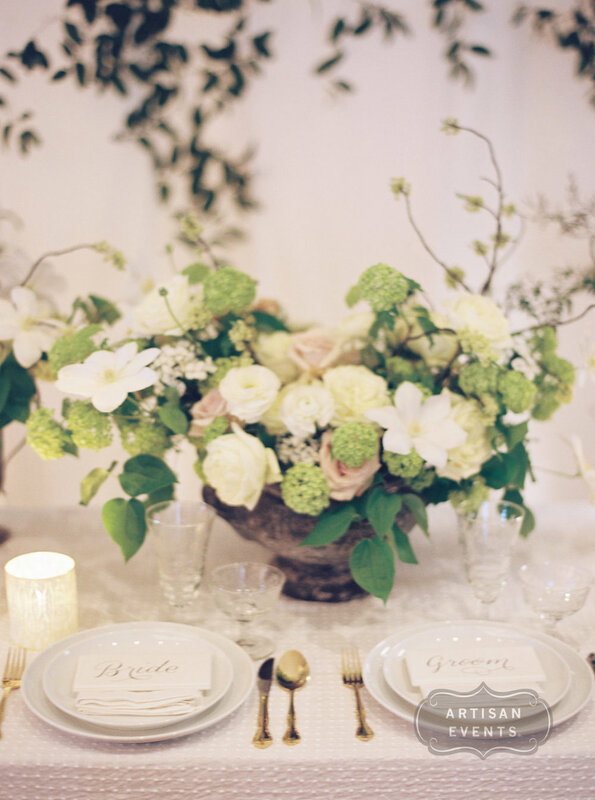 We opted for fresh spring colors, with a pop of champagne to bridge the ivory an green. Adding a few mid-century votive holders, we were pretty pleased with the results. Thank you to everyone who visited us!